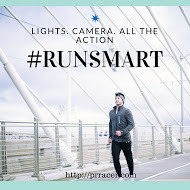 Running with SD Mom: #PRRacer #RUNSmart - The Convertible HDL Announcement & Giveaway! 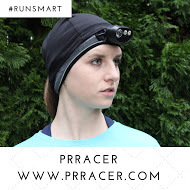 #PRRacer #RUNSmart - The Convertible HDL Announcement & Giveaway! Ever try running in the dark? But not just in the dark. In the dark without a phone or a camera that can take the perfect moonlight picture? But where do you put your camera? Or your light? Some bulky thing strapped to your head? Well, the solution is here! Introducing the Convertible HDL from PRracer! Convertible means that the lightweight and moisture wicking headband also converts to a skull cap. It is perfect for any weather! HD: The camera allows you to capture your run in FHD (1920x1280) or HD (1280x720) format with still photo capability. In addition to video, you can take photos using single shot, burst mode, or time-lapse mode. In addition, the camera carries a GPS, altimeter, and accelerometer to capture all the vital statistics from your run. Hello?! What more could you want? Ditch that GoPro! L: The headlamp shines at more than 400 lumens, ensuring your path is clearly lit, during even the darkest runs. This high-powered light also makes it possible to catch clean video during dawn, dusk and nighttime runs - something no wearable camera offers. No more grainy night run photos! So exciting! It is a headband that converts to a skull cap, the device also carries a high definition camera and an LED headlamp that can illuminate even the darkest of runs. Like my friend Jenny says, "Headband, hat, strong headlamp & camera all in one? That's pretty cool. Can't wait to get one." Do you want one? Lucky for you, the Convertible HDL is debuting on Kickstarter TODAY! Check it out here. The first 50 people to purchase will get 50% Off retail pricing! There are three levels of pledges for the Convertible HDL: $149, $179, $199. The first two levels are limited quantities so click and buy early! BUT I wouldn't be me if I didn't get something to giveaway to you, would I? 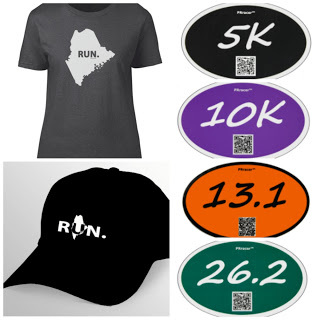 And performance decals for 5K, 10K, 13.1, and 26.2 distances. No purchase necessary. Void where prohibited. 1 winner will be selected via the Giveaway widget. Open to Residents of the US only 18 years of age or older. Must have a non P.O. Box mailing address. Winner must have a valid email address. All winning entries will be verified. If a winning entry cannot be verified as completed, a new winner will be drawn. Winner will be provided the prize directly from PRracer. SD Mom not responsible for the failure of PRracer to deliver product. Okay, so you MUST check out all of PRracer's cool gear but most definitely, check out their Convertible HDL! And quick because only the first 50 people get 50% off! So tell me, what is your favorite feature of the Convertible HDL? Which state are you from? What state would go on your RUN hat? This post was sponsored by Fit Approach and PRracer but all opinions are my own! I want a run IL or run NY shirt :) Because... I need a shirt. LOL. Looks so much more comfortable than the crappy Go Pro knockoff strap I've been using. RUN OHIO! Well, I find the Convertible HDL quite interesting. I like that its hands free and it collects running data as well. I've never filmed or photographed anything while I was racing, or running for that matter, but it might be cool to see. I have a snorkle that works like this - light and camera for under the water. Wow that camera sounds awesome! I'd love to surprise my husband with this fun loot! Cool stuff. I love that it is hands-free! Looks cool! I'm so not tech savvy though and would need to practice major. The Camera looks great. I'd want an Indiana tshirt. This would be nice to have when I am on vacation and go on tours and explore the countries I visit. The camera is an awesome feature. It would be neat to record my runs. I like the idea of combining the light and the camera on the head. I like the idea! I love that they thought of the Sweat-wicking headband! I cannot wait to get mine - so glad that you're helping to support this project!